2. Share the promotional picture from our Facebook Page on your timeline. 3. Print Screen a snippet of the share on your Facebook. 4. 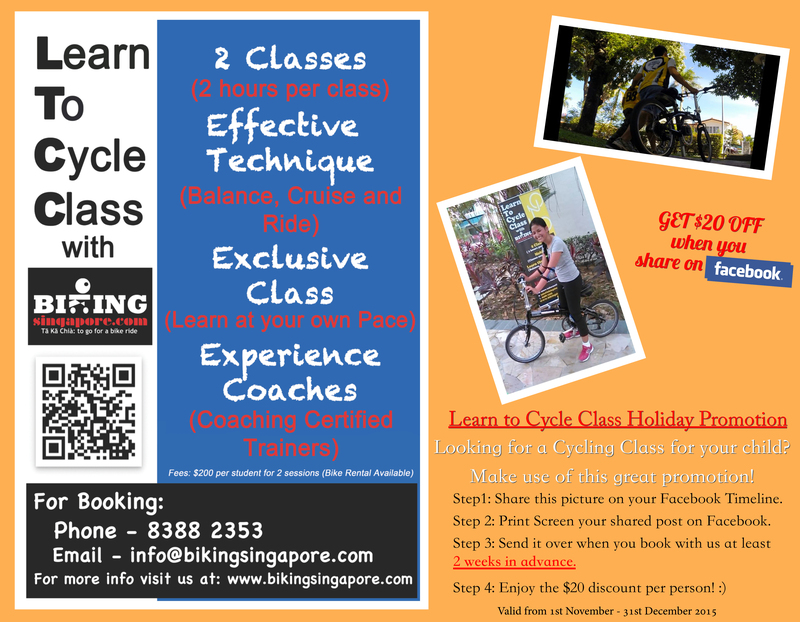 Enter the following PROMO Code when you make the booking: LEARNTOCYCLESHARED when you book on our Booking Form. 5. Send the Print Screen when we request for it via Email. 6. Booking must be done 2 weeks in advance. 7. Valid between 1st November - 31st December 2016. 8. You can choose to share the photo from our Facebook page or download the promotional photo from this link:​ Promotional Photo.